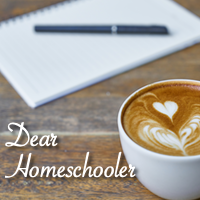 Do you homeschool all year long or do you take the traditional summer break? There are many ways to approach this: Our family really needs and enjoys taking the summer off. This doesn’t mean that learning stops. We still do the occasional unit study or science experiment, but in a more relaxed way. One thing we do continue to do throughout the entire summer is read. We read to learn, but we also read for fun. One of the books I had my son is The Minstrel in the Tower by Gloria Skurzynki. I wanted a way to monitor his comprehension, so I was so excited to review The Minstrel in the Tower Study Guide by Progeny Press. The Minstrel in the Tower E-Guide is a great learning companion to the novel The Minstrel in the Tower by Gloria Skurzynki. (The book is purchased separately.) This 38 page guide is a great way to get your student to increase their vocabulary, reading comprehension, and knowledge application through critical thinking. As a digital download, you are able to print off as many copies as you need for your family. Each chapter has a series of lessons aimed at grade levels 2-4. Although the lessons in each chapter follow a similar outline, the exercises are not identical. For example, when studying new vocabulary, your student may have to define the word and then look it up in the dictionary or use the words in a fill-in-the-blank exercise. Simple comprehension questions for each chapter will help you learn how much of the story your student is retaining and if they are picking up literary implications. And, if the print-and-go format wasn’t easy enough, an answer key is also included. This E-Guide stresses a Christian perspective. The worksheets have Bible verses to read and questions that related the verses to the story. Virtues such as forgiveness, kindness and compassion are discussed and also related to the story. My son just completed the first grade. I tried having him read the story independently, but using the comprehension questions in the E-Guide, I found his comprehension wasn’t where I wanted it to be. So, we started again, and I had him read it aloud to me. This worked better for us because we could decode unknown words together and discuss new vocabulary words as we came to them. This time, I know he understood it better. Because of his level and the time of year it was, I opted to do the chapter lessons almost entirely orally. I found the E-Guide flexible and easily adaptable to different levels. As a pre-reader, my daughter would not be able to complete the reading and activities as they are; however, I have plans to read the story to her aloud next school year and use the E-Guide to help pilot her learning in an oral format. I will probably have her read it independently in a few years and do the written worksheets then. The Minstrel in the Tower E-Guide is a great way to gage your student’s comprehension and critical thinking skills. This E-Guide, however, is just one of the study guides available. Progeny Press provides resources for many books and different levels, from Lower Elementary through High School. Check out other reviews of other books and levels from the Schoolhouse Review by clicking on the link below. I like how you styled this review. peaked my interest.